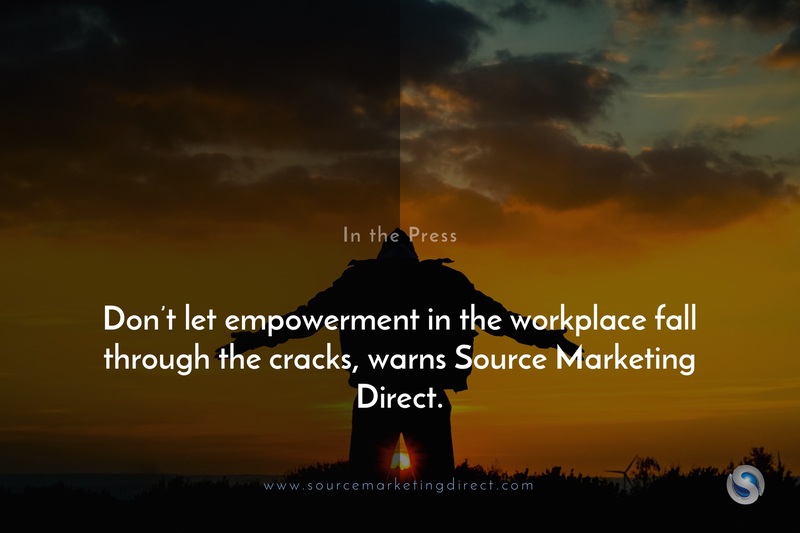 Don’t let empowerment in the workplace fall through the cracks, warns Source Marketing Direct. As organisations grow bigger, Source Marketing Direct believe one of the most common things to start falling through the cracks is forgetting to empower people in the workplace. The London-based outsourced sales and marketing specialists believe empowering others is key to performance, satisfaction and loyalty with a business. This is supported by research from the Harvard Business Review, and it seems only natural that when decisions and outcomes have higher consequences and less room for error, the default action from management is to cling on to the decision-making. However, Source Marketing Direct’s Managing Director Hector Montalvo believes that this is also an opportunity to show that all ideas are welcome and valued, and the firm argue that understanding people’s capabilities, believing in them, and helping or guiding them to make a correct choice is key to empowerment. “In reality it’s in these moments where you should be fostering internal development, and illustrating that you trust your people. You might learn a lot about how an individual handles themselves in difficult situations, or observe if they are able to make the tough calls required,” argues Montalvo. Indeed, the Managing Director believes empowered people at work are not only more likely to go the extra mile, be more productive or embrace change – they’re also more likely to provide better customer service in consumer-facing roles. Source Marketing Direct believe they are able to undercut larger sales and marketing firms because of their commitment to empowering others, and offering greater opportunities, and nurturing talent through their business development programme. “In our business empowering others is vital to having that ‘can-do’ attitude, and following best-practice. We’ve built our business mantra on being ‘process-professors’, and empowerment is a key catalyst in this regard,” concluded Montalvo. Next Next post: In the age of fake news, Source Marketing Direct warns small businesses to lead with real facts not emotions.